I am having a lot of fun with Painter 2018 these days. I decided to combine watercolor and thick paint; just wanted to see what it would look like. The results pleased me; of course I’m never completely happy, but I don’t hate them. For imagery, I chose to attempt abstract landscapes. I particularly like sumi-e work. The initial bone structure of the painting nods to sumi-e. It doesn’t stay there; the work becomes way too busy to even see a sumi-e influence. I would like to simplify the images and I think I can as I paint more. In the beginning I am unsure of what brushes to use…and I try various ones…each variant adds a little more business to the final image. This first image gives a good balance between watercolor and thick paint. I really like the watercolor and played down the thick paint. I couldn’t sleep last night. When that happens, I usually get up and start my day. I did the following two paintings this morning…starting at 4 AM. I don’t like to fuss over a painting for hours…I prefer to jump in, paint, and finish in an hour or less. I certainly do not want to paint over three hours. I lose interest, or I get obsessed with minute details. Both of these images played a bit more with thick paint. I really do like Corel’s new thick paint brushes. I think they are more natural than any other type of variants in Painter. By the time I started the second painting, sleep deprivation raised its head. I figured bright reds would wake me up. I rarely work with bright reds; I enjoyed the activity very much. In the title, I mentioned that Painter 2018, Is It Real Paint, is still open. You will remember in my last post I said I was going to close the class on December 31st. Well, I didn’t. And folks have continued to join the class. So, I decided to leave the class as an Open Enrollment Class at least for the rest of 2018. Open enrollment, means you can register at anytime, all the materials are available for download once you register, and you can work at your leisure. There are no deadlines…just set your own pace and post your paintings for critique if and when you want. 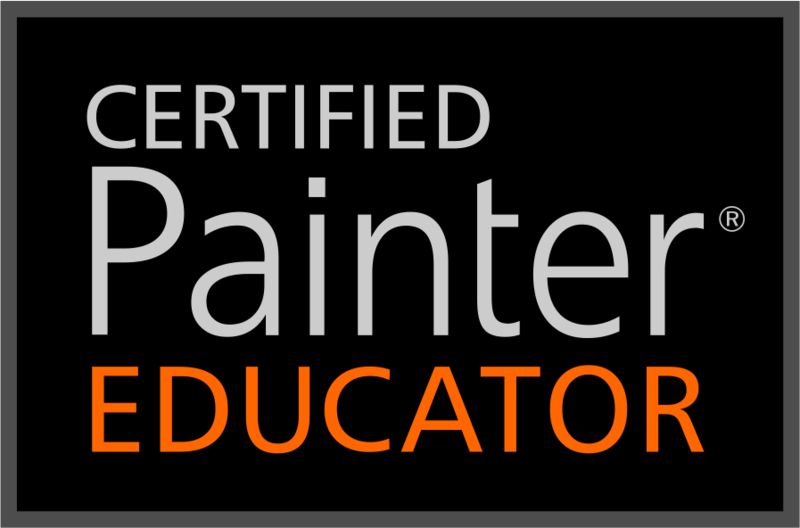 I know Corel ran a special price a week or so ago, so if the special prompted you to upgraded to Painter 2018, then this class is for you. It covers all the new features of Painter 2018. If you didn’t get the special, the upgrade price currently is $189.00. I hope to see you in Class. Register for Corel Painter 2018, Is It Real Paint.